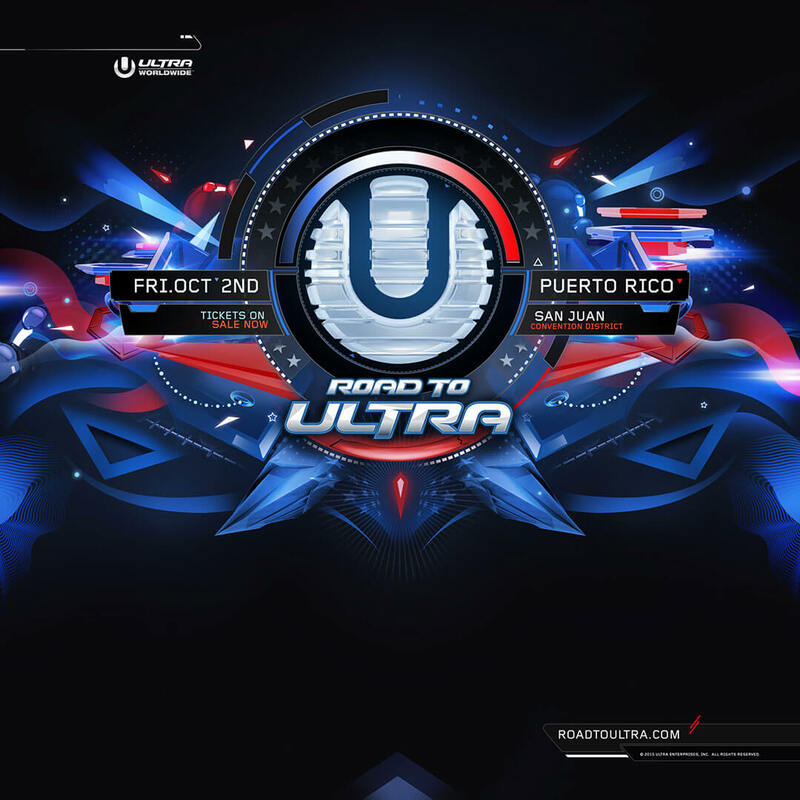 The world’s most international festival brand, ULTRA Worldwide, today announces plans to extend its global influence even further, with the confirmation of a brand new international edition for 2015 – Road To ULTRA Puerto Rico. Set to take over the avant-garde, 15,000 capacity Puerto Rico Convention District in the capital city of San Juan on Friday, October 2, Road To ULTRA Puerto Rico will become the 19th international destination to host ULTRA’s unique events—a truly staggering achievement for the fully independent festival brand. Famed the world over for its 300-plus miles of pristine white sandy beaches, Puerto Rico’s convenient political position within the US commonwealth means that US citizens won’t even require a passport to travel to and from the paradise island. The official lineup for the debut edition of Road To ULTRA Puerto Rico will be announced in the coming weeks. Stay tuned to roadtoultra.com and RTU Puerto Rico’s official social channels (below) for real time updates. Tickets are now on sale and available exclusively from www.roadtoultra.com/puertorico. A limited amount of Early Bird tickets priced at $40.00 USD are likely to sell out very quickly, after which the remaining tickets will be available at $50.00 USD. VIP tickets are also on sale from now, priced at $100.00 USD. This news comes off the back of a truly incredible year for ULTRA Worldwide, in which the international juggernaut has added an astonishing seven brand new events to its ever expanding resume, including Macau, Bali, Singapore, The Philippines, Bolivia, Peru and now Puerto Rico. ULTRA WORLDWIDE, producers of the award-winning ULTRA MUSIC FESTIVAL in Miami, launched a new event concept early in 2012 appropriately named, ‘ROAD TO ULTRA.’ Since then, RTU’s have landed in THAILAND, KOREA, JAPAN, TAIWAN, MACAU, COLOMBIA and PARAGUAY with more confirmed for 2015 in PARAGUAY (2nd edition), BOLIVIA, PERU, SINGAPORE, THE PHILIPPINES and PUERTO RICO.